It was a humbling weekend for a boulderer. Isaac invited me to join Charlie, Emily and him for a weekend at Mount Charleston. I accepted. Kay, lives in Las Vegas, and generously offered us a place to sleep for the weekend. Thank you, Kay! We woke up Saturday and headed west, up into the mountains to climb and escape the heat. Although the cliffs are situated at around 9,000 feet, they are in direct sun in the morning and offer better temperatures during the afternoon. The blue and white limestone caves are notorious for their pockets and lack of foot holds. 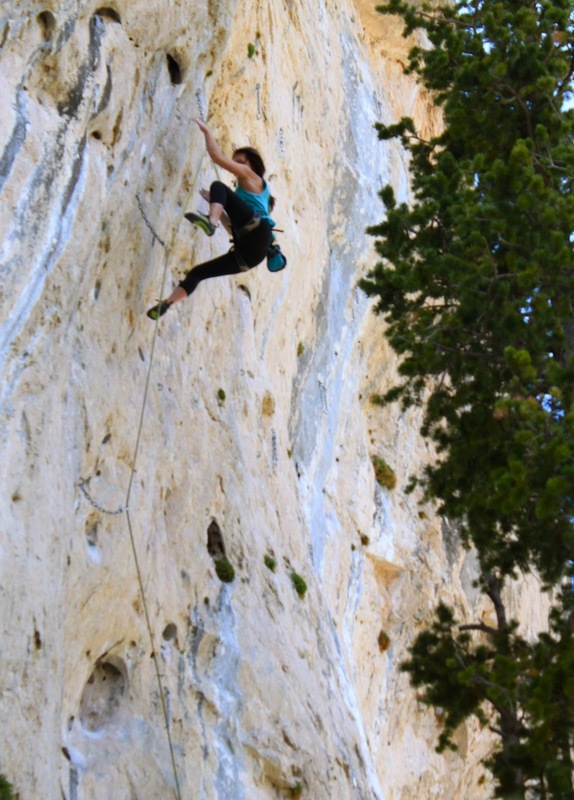 I discovered this myself, on the first climb of the day, Heatin' Up The Hood (5.11c). Charlie and Isaac ran up the climb. I reached the top after taking several times. I lowered, and to Isaac's disbelief I was so flash pumped that I could not belay. Emily climbed up to the last clip and fell. Next, we headed towards some harder climbs for Charlie to train on. He jumped on a Charleston classic, Infectious Groove (5.13b). After trying the climb twice, Charlie decided that he would return the next day for the send. Isaac also took a lap on Urban Decay (5.12c). Isaac wanted to take us to one more massive limestone cave before we left the crag. The cave was home to many Charleston classics. 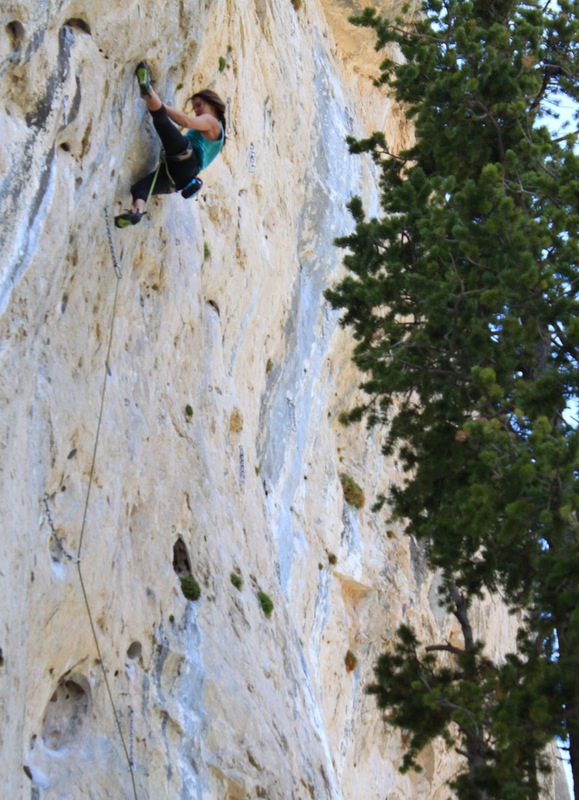 Isaac got on Closing Down (5.14a) and was able to climb every move bolt to bolt. Charlie tried it as well, and stuck most of the moves. The next day, Emily and I managed to snag Witness to a Killing (5.10d), our first send of the trip (my first sport climb ever). We finished warming up and headed back towards Infectious Groove. Charlie sent the climb on his third try of the trip. I gave the problem a try and worked through some moves before getting too pumped. Isaac jumped on after me to try and repeat, but fell at the top crux. Next, we walked over to Corrosion (5.13a), the last climb of the trip. The pockets were dripping water but Charlie and Isaac still got on it. Our weekend was over. It was lots of fun and I learned quite a bit, but still have a lot more to learn. We got home to Los Angeles at midnight on Sunday, tired and sore. Charlie had to wake up in a few hours to fly to Atlanta to train for Nationals. Good luck, Charlie! I love that you call them problems lol. *routes, haha. hope you make it to the black mt bash.